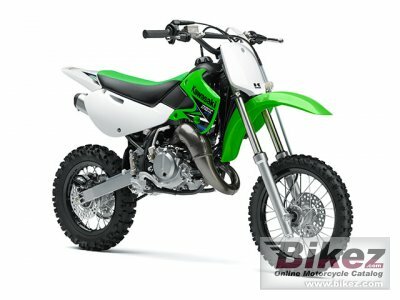 2014 Kawasaki KX 65. Picture credits - Kawasaki. Submit more pictures. For more than 30 years, Kawasaki�s smallest KX� motocrosser has played a key role in the sport of motocross, providing a race-winning platform on which countless national and world champions have begun the journey to superstardom. Today, Kawasaki�s KX65 maintains the same successful attributes, including a powerful and reliable two-stroke engine, lightweight chassis, disc brakes and long travel suspension. Ask questions Join the 14 Kawasaki KX 65 discussion group or the general Kawasaki discussion group.